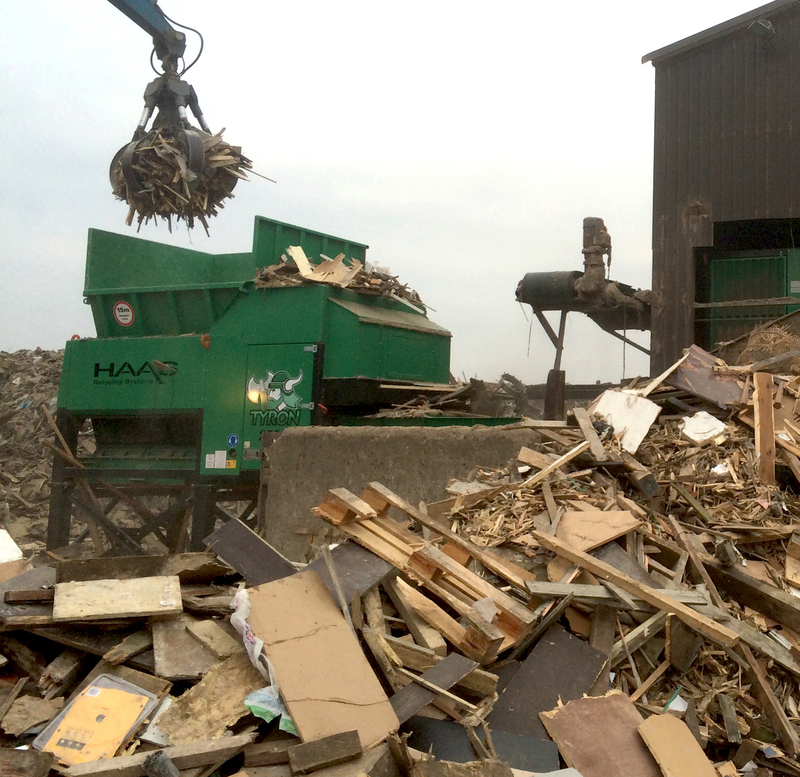 A HAAS waste wood recycling plant, consisting of pre – and after shredding. 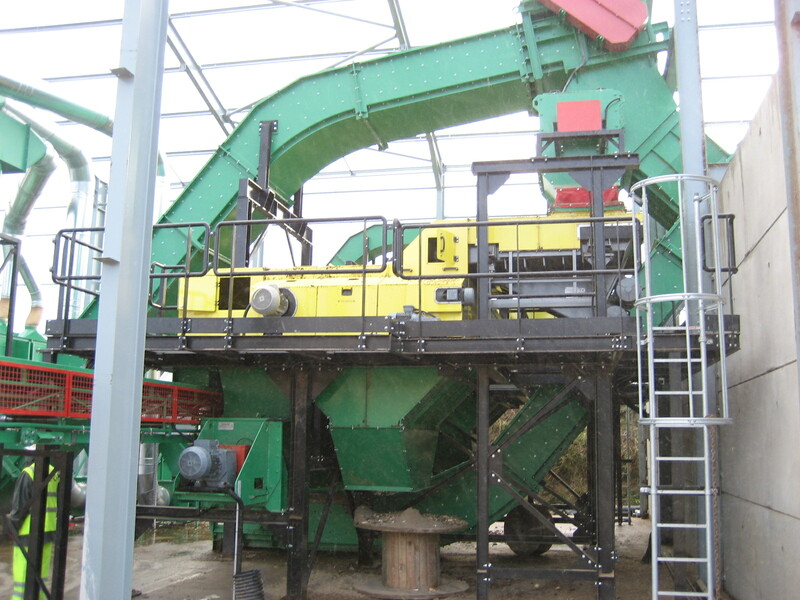 Including ferrous and non-ferrous separation with a throughput of 20 t waste wood per hour. 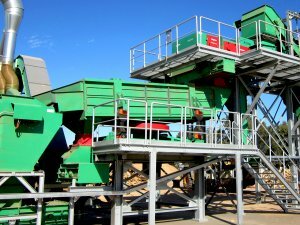 AVG varies the chip size with easy and uncomplicated screen changes to suit customer’s speciﬁcations. 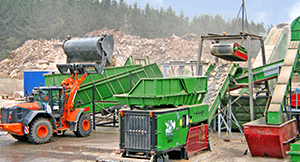 suppliers of construction materials in the Netherlands, which runs a construction waste – and waste wood recycling plant in Goch at the German – Dutch border. 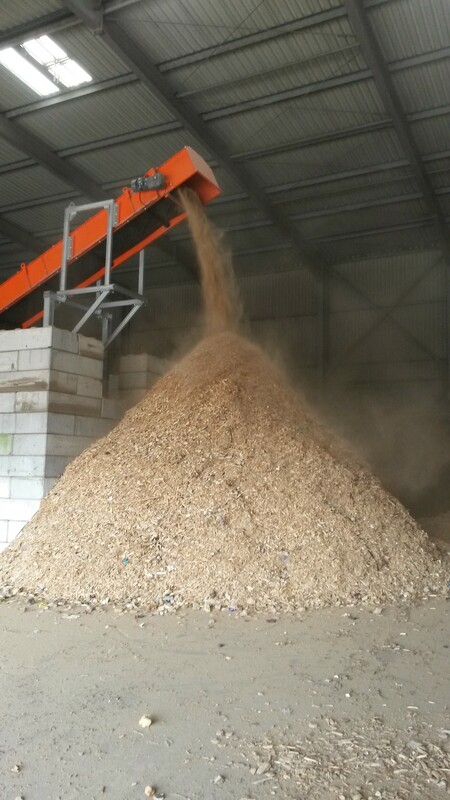 AVG supplies the recycled biomass to several customers, which use it to fuel their biomass power plants. 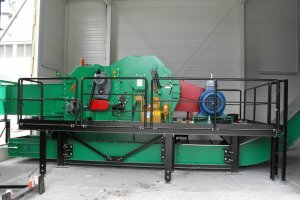 Electro Overband Magnet To separate FE-parts. 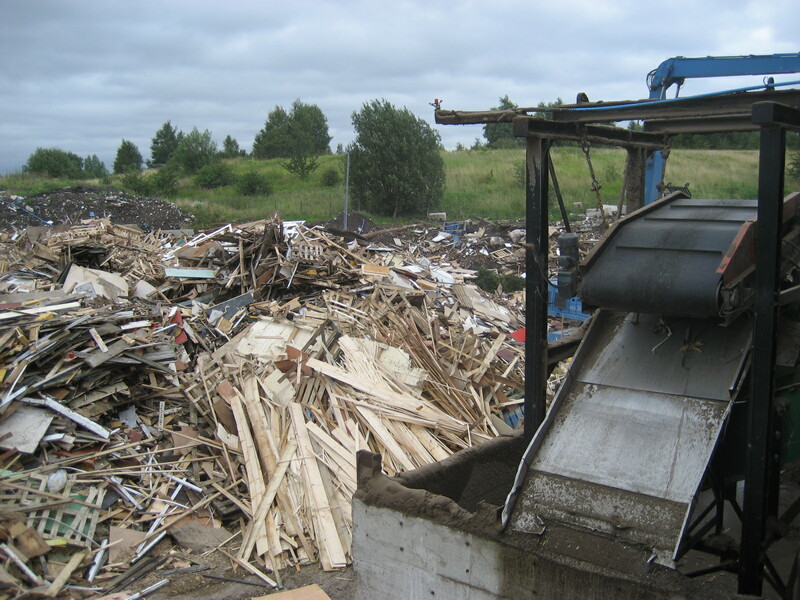 To separate ferrous from wood. 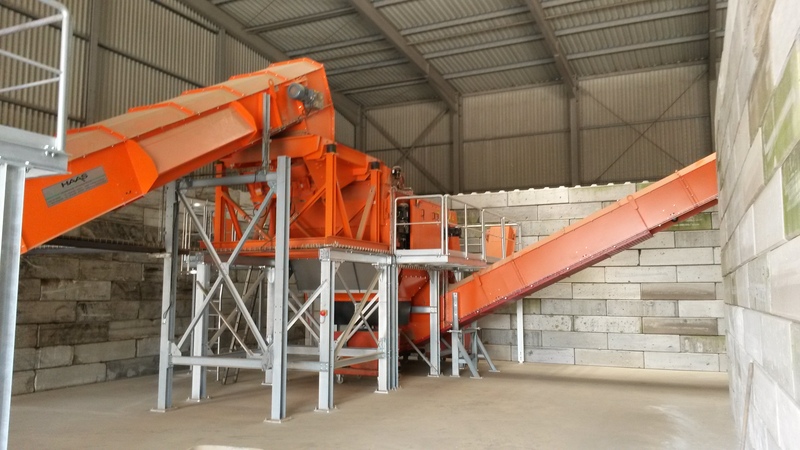 Eddy Current Separator 2.000 incl. 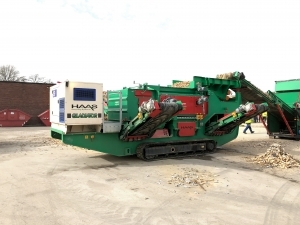 magnet drum To separate the remaining ferrous parts, such as nails and staples and the non-ferrous parts. 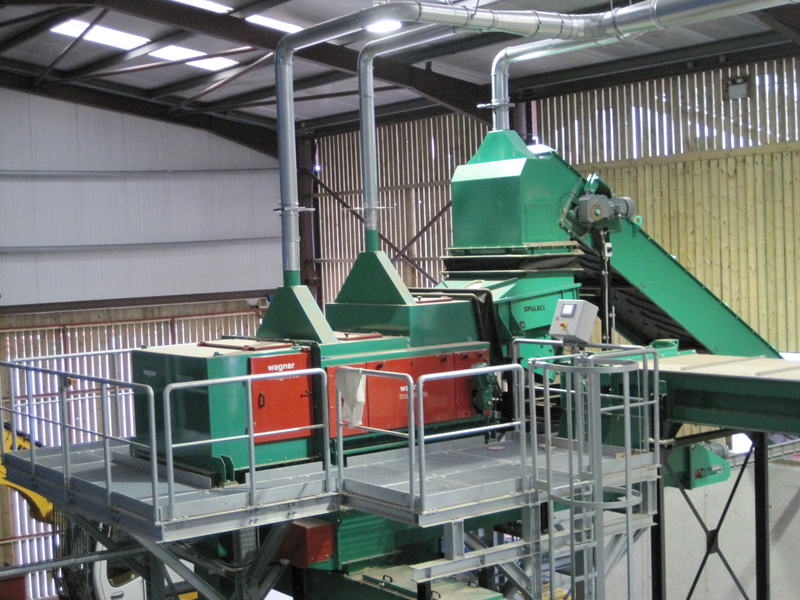 AssignmentProcessing of 10 t of waste wood per hour (constant power) pre-shredding and secondary shredding20 t/h, < 9 mm. 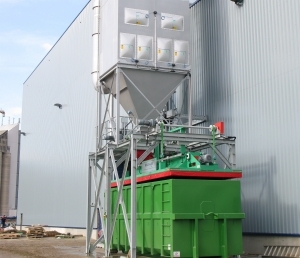 Complex plant is to be integrated into existing building. 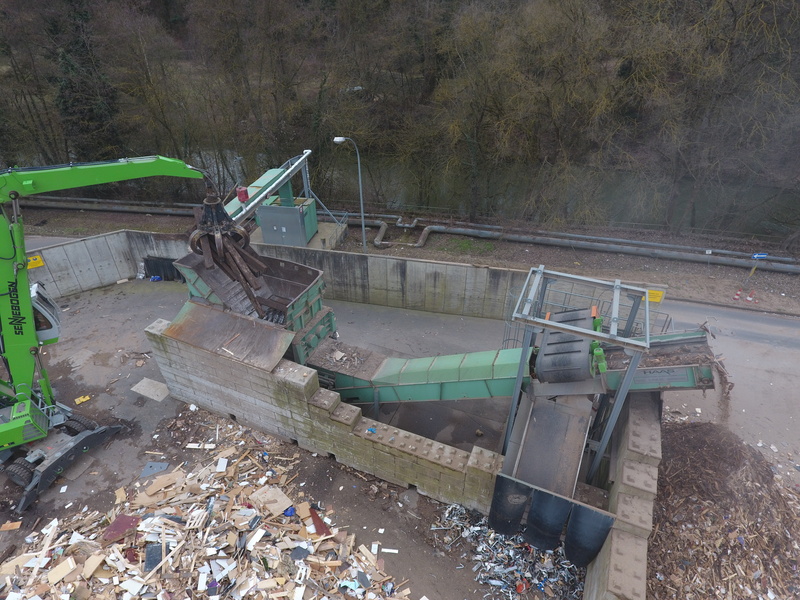 Waste wood recycling plant, uniform throughput but ﬂexible at the same time. 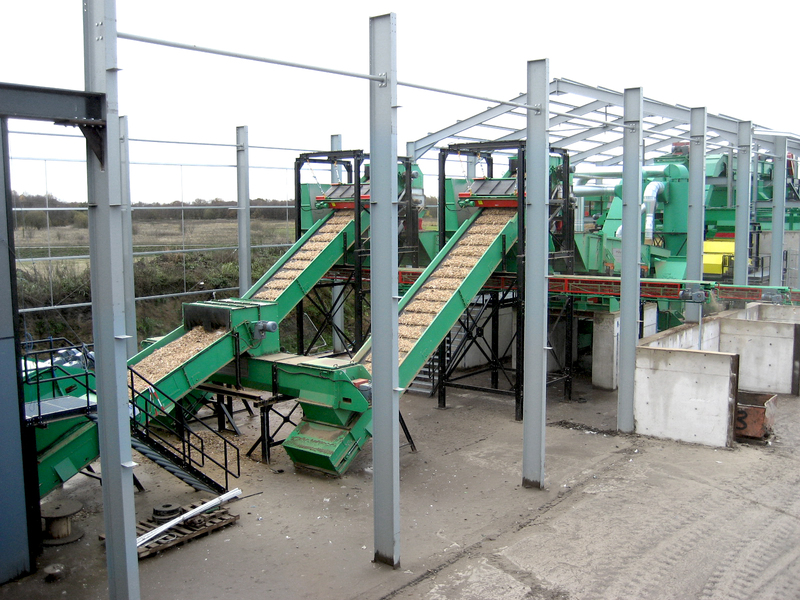 Should the demands of the timber market change, will be able to produce different sizes by a very easy and fast change of the screen section inside the screen and/or the hammermill. 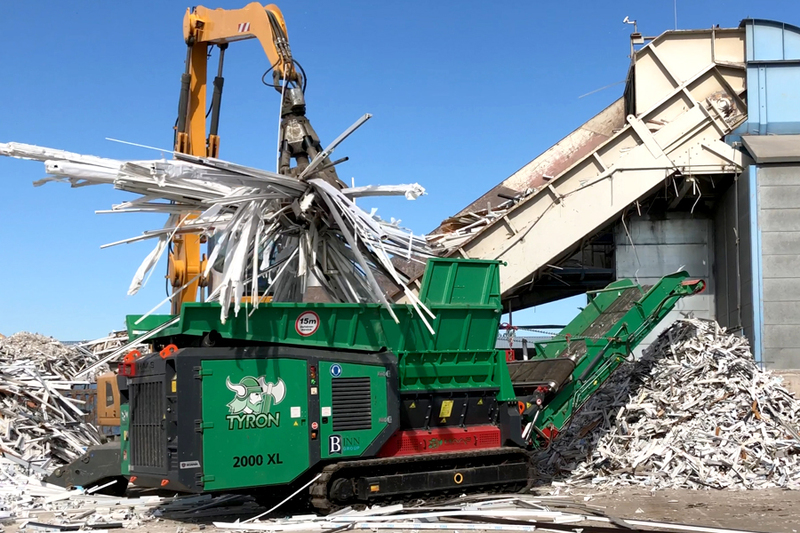 HAAS Permanent Overband Magnet to separate FE-parts. 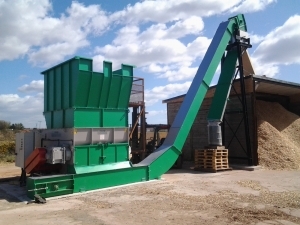 Eddy Current Separator for non-ferrous parts with vibrating conveyor. Incl. 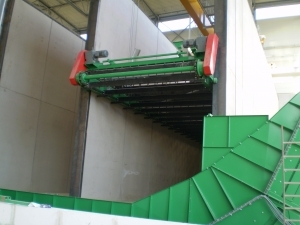 chute to guide the non-ferrous material into a container. 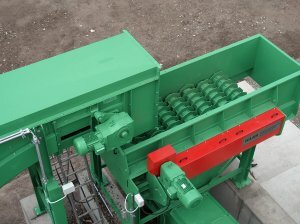 HAAS Screw Bunker for the intermediate storage of material 9 – 70 mm The discharge of material will be made with integrated screws. 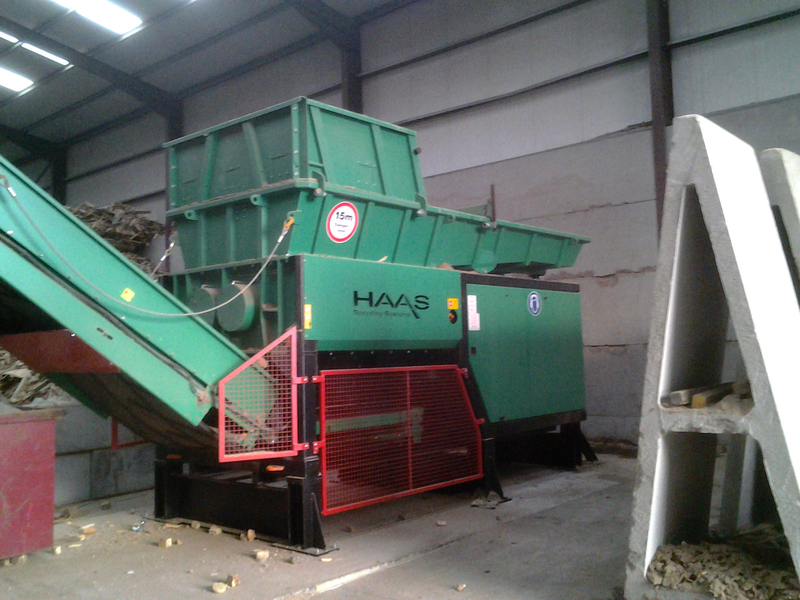 HAAS Fine Hammermill Type HSZ-R 500 x 1.800 suitable for the reception and after grinding of wood 9 – 70 mm. 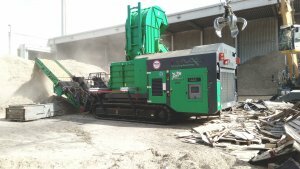 For storage of the fine fraction. 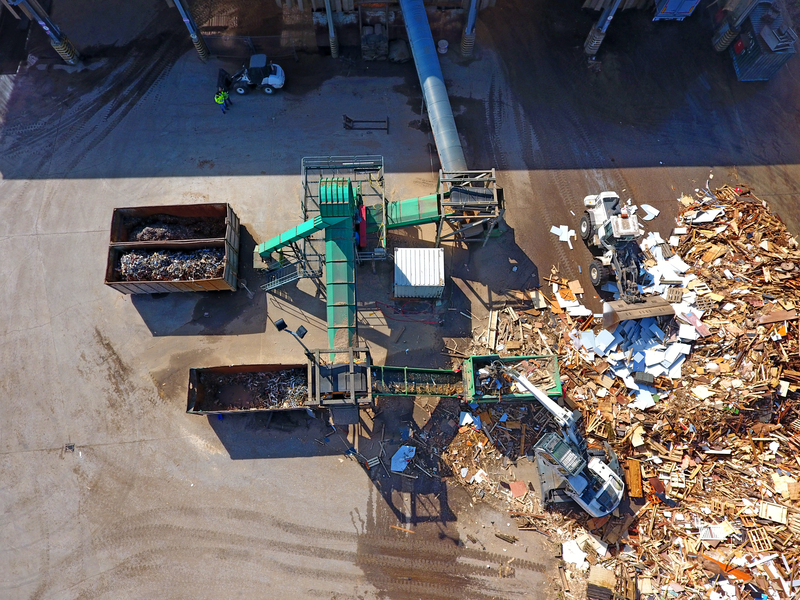 AssignmentRecycling of 35 t waste wood per hour. 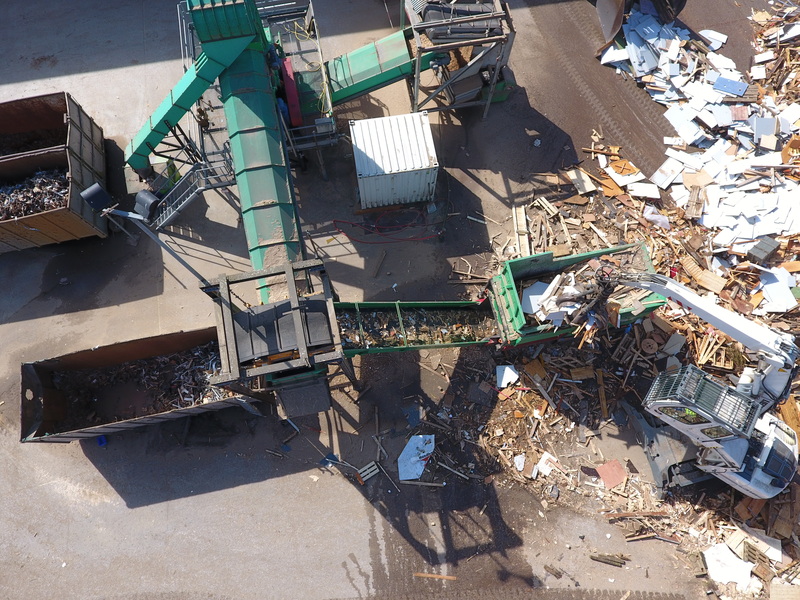 The fact that Zollikofer processes untreated and pre-shredded wood had to be considered at the planning. 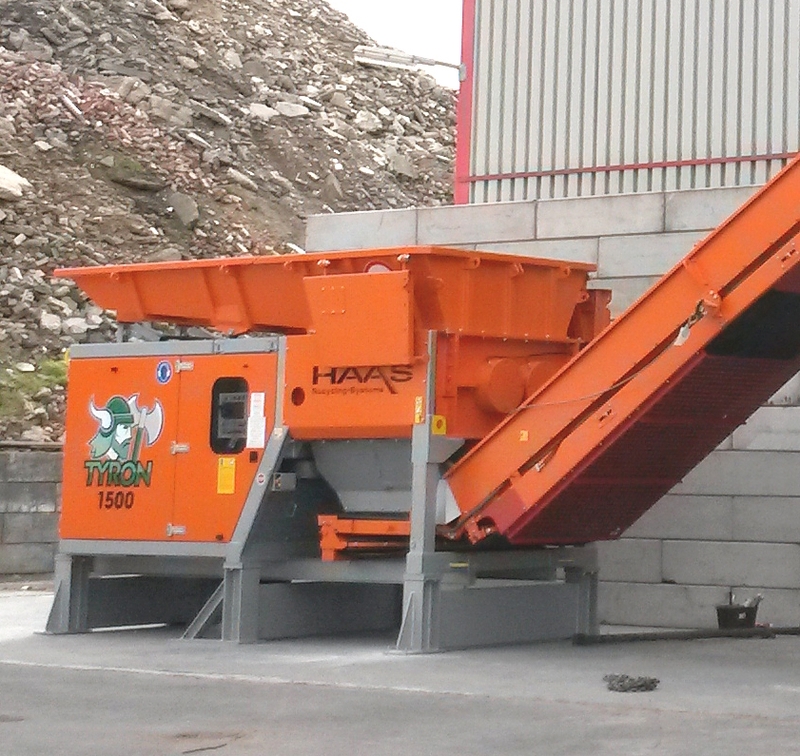 A chip processing installation from HAAS. 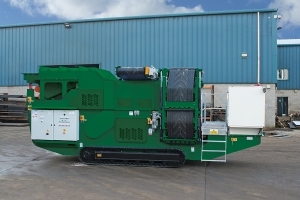 Designed for a throughput of 35 t/h. 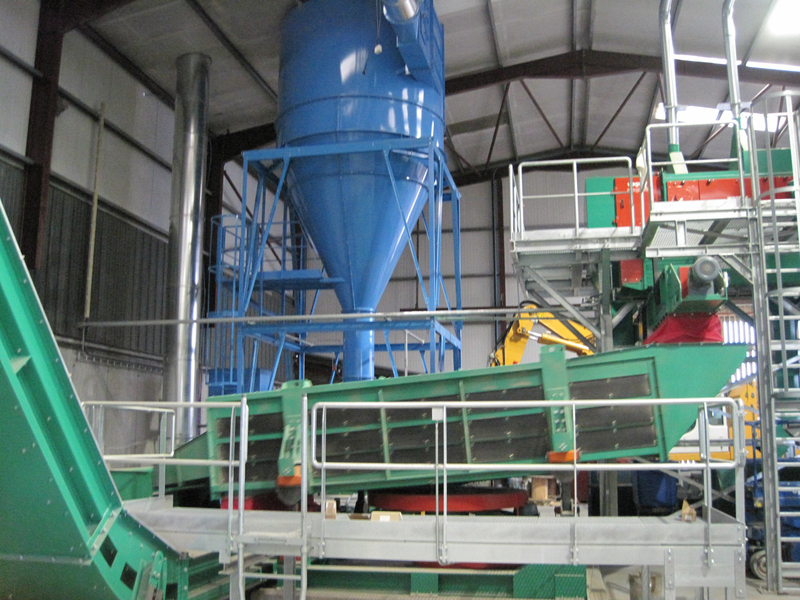 A feeding – and dosing hopper and a pre-shredder running parallel ensure the continuous feeding of the hammermill. 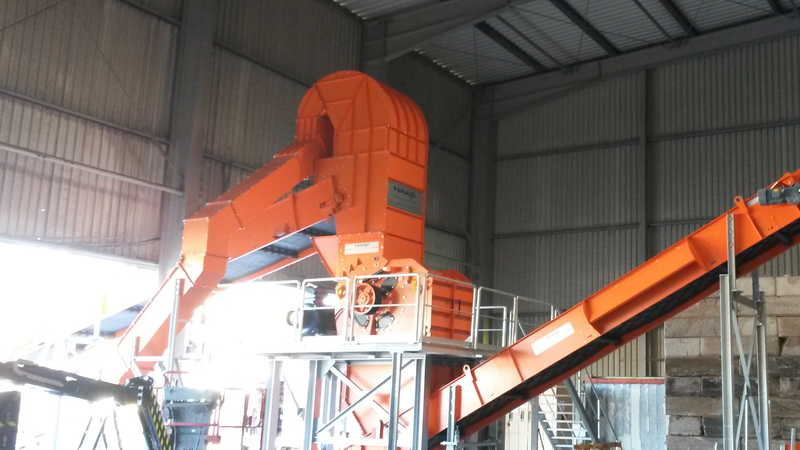 Eddy Current Separator and a flat screen complete the installation. 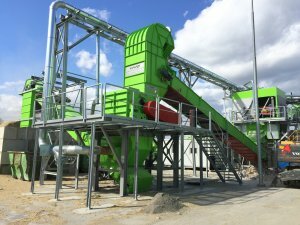 AssignmentAdaptation/changing of an existing plant. 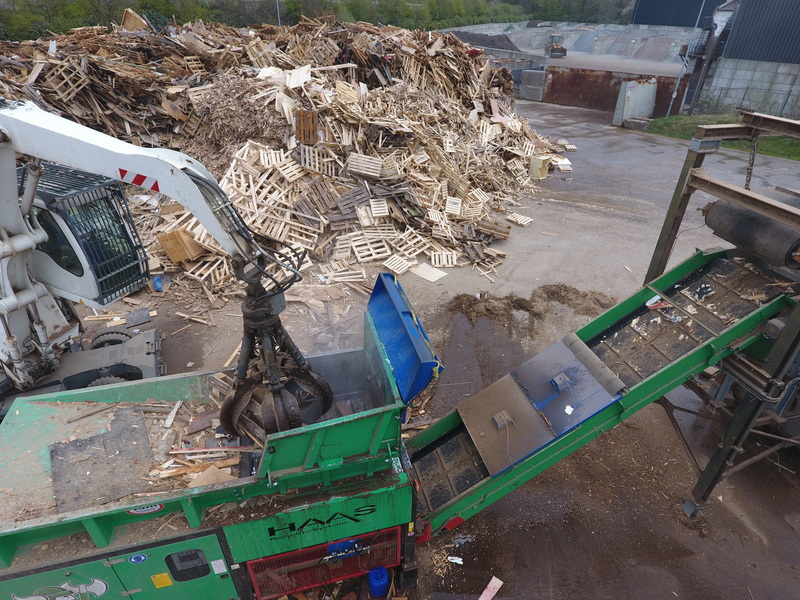 Recycling of 30-35 t waste wood per hour. 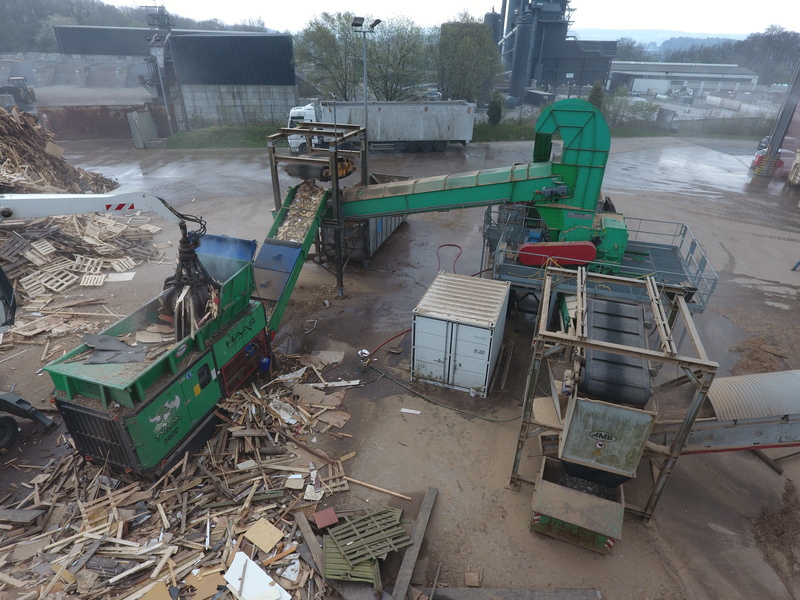 AssignmentRecycling of 70-80 t waste wood per hour. 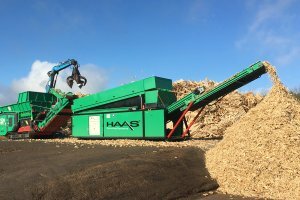 HAAS SolutionThe solution is a HAAS waste wood processing plant, consisting of two lines for the processing of an overall of 70-80 t waste wood per hour. 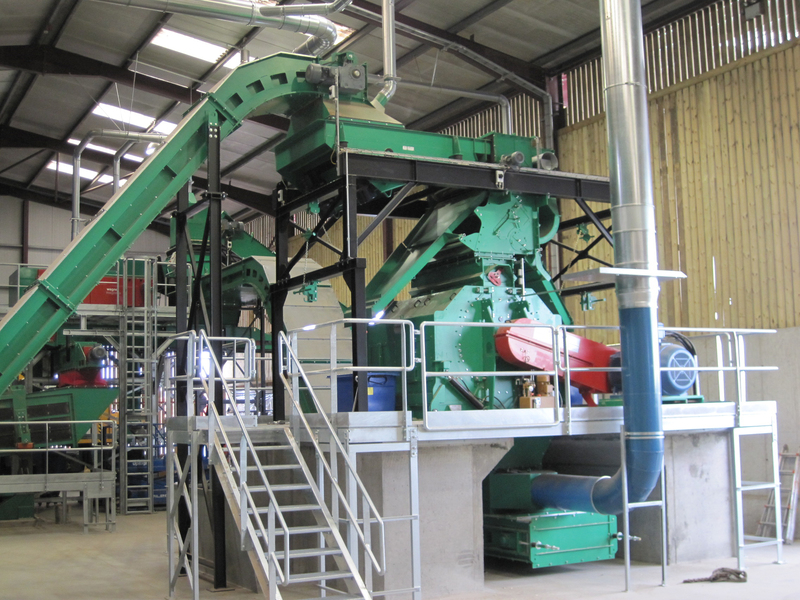 Electro overband magnet to separate FE-parts. Incl. support for overband magnet incl. chute. 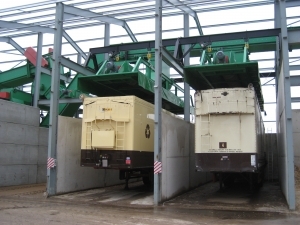 Sorting cabin designed for 8 workstations. 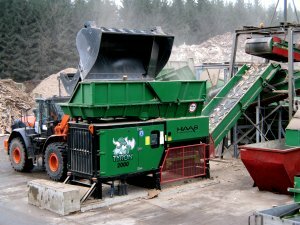 HAAS permanent overband magnet to separate FE-and NE-parts.